I have a 2 year old boy who has been diagnosed with atopic dermatitis since he was 1 year old. He is also allergic to eggs, fish, and watermelon from what we know of now. His eczema last year was very bad but now it has gone to other areas of his body. One of the two areas is the groin area. He is very itchy and nothing seems to help in this part of his body. Second problem area is the scalp. This part of his body along with the groin were not an issue until about 4 months ago. His scalp is very itchy and he has dry loose flakes or dandruff. Speaking as a mom, I know how frustrating and challenging it can be to see our child suffering. For the benefit of our website viewers, let me begin by saying that eczema (also called "atopic dermatitis") is a serious skin disease. Eczema causes dry skin that can itch, get red and crack. Part of the skin might break out in a rash, or the rash might be on the whole body. Pinpointing every trigger to this condition can be difficult. First, bath him with our FACE & BODY MOISTURIZING WASH which is a specially formulated mild cleanser that contains herbal ingredients that are organically grown and hypo-allergenic and safe enough for very young skin. This will begin to add moisture to his skin and soothe the skin layers. After bathing, gently pat his skin dry with a soft towel. Then moisturize with our HAND & BODY THERACREAM as this is extremely important for his eczema treatment. This specially formulated cream will stop any itching while it is repairing and bringing balance back to his skin - restoring the normal function of the skin instead of just placating the symptoms. Remember that the most effective, specially formulated products are plant based, have a very rich emollient level and are loaded with nutrients. Since our HAND & BODY THERACREAM is so very thick and rich, you can choose to add a little sterile water to the cream before applying. These products work quickly and have a soothing effect that can be immediately felt on the skin. For his scalp, I recommend our HERBAL SHAMPOO TREATMENT which contains three highly effective ingredients: tea tree oil, shea butter and urea . These three ingredients provide a powerful formula to relieving dry, itchy and flaky scalp symptoms. This shampoo has a soothing, moisturizing and protecting effect as well as superior anti-fungal and anti-microbial properties that help promote fast healing as well as adding much needed moisture. Please feel free to contact me with any other questions you may have Beatriz and let me know how your little son is progressing. My Little Girl Had Red Awful Eczema Over 90% Of Her Body! Hi, I found your site after searching about how bad hydrocortisone is. Our poor little two year old was suffering with red awful eczema over 90% of her body. We had used loads of different lotions, with the help of Dietitians, specialists, naturopaths etc. only to have had to continue to put hydrocortisone on and she became all patchy and half bleached! I ordered your products for our poor little Peggy and her skin is quickly improving and we are so happy. Many Thanks! I have seen many cases such as what you have described with your children. Extreme dry, large or small patches on the scalp can result in hair loss in some cases as with your son. With thick, white patches on the scalp, the hair follicles can become less and less viable and as time goes on, damage to the hair follicle may become permanent. Speaking as a mom, it is so difficult to see our children suffer with any form of eczema or other skin conditions. The following treatment I am going to recommend you begin right away, will provide relief for both of your children. 2) Next, wash their hair and scalp with our HERBAL SHAMPOO TREATMENT which is hypo-allergenic and filled with nutrients. These 2 products, together, will unpack dry patches down to the deepest part of the scalp and restore much needed moisture and regain a healthy balance once again. They will also stop any itching and provide anti bacterial protection while working. Given these health building ingredients, and as long as the hair follicle has not died, a re-growth of hair will begin. Please keep me posted on their progress Lisa. My son has had eczema since he was an infant. Recently, maybe about a year ago I noticed very visible light spots on his right cheek and a couple weeks ago I noticed his nose beginning to lighten up as well. I do not know what to do. I have an appointment with a dermatologist but feel I should not take him to receive the harsh chemical creams she may prescribe. Please help. Unfortunately, one of the many possible side effects of using hydrocortisone cream is discoloration of the skin resulting in either hypo or hyper pigmentation of the skin. While we don't know if that is what is happening here, I tell parents that one of the best things they can do is to use naturally based products such as ours that will provide health building ingredients to moisturize the skin and bring balance to it. I would highly recommend first cleansing with our gentle All Over Face & Body Wash followed by an application of our Face & Neck TheraCream twice daily. Please keep me posted on your son's progress Shatis. I am back to report the progress of my 6 week old baby boy. It's amazing how this product works!! There was no exaggeration in the statements made by previous writers. I used the cream and two days later I saw results!! Great RESULTS!!! My sons rash cleared in no time and I'm even using it on my skin and it looks better as well ..... Thanks Aim 2 Health I'll be a customer for life!! I completely understand your frustration about finding something that will work for your 2 year olds eczema with so many chemical filled products out on the market and doctors continually prescribing harmful steroid creams to just about anyone! I highly praise you for seeking a natural alternative to help your daughter's eczema. Here are my recommendations for the treatment and care of your little girl's eczema condition. For bathing I recommend our FACE & BODY MOISTURIZING WASH which is a specially formulated mild cleanser that contains only herbal ingredients that are organically grown and hypo-allergenic and safe enough for baby's skin. This will begin to add moisture to her skin and soothe the skin layers. After bathing, gently pat her skin with a soft towel. Then moisturize with our HAND & BODY THERACREAM as this is extremely important for her eczema treatment. This specially formulated cream will stop any itching while it is repairing and bringing balance back to her skin- restoring the normal function of the skin. Remember that the body truly responds to natural ingredients. Please let me know how your little girl is progressing Cynthia. Eczema is driving me mad! Hi, I'm having eczema since young. I'm experiencing it on my limbs and neck region. After seeing so many doctors, I have start to lose confident in them. But after seeing those testimonial from your patients, I'm gaining back my confident. Really hope that you can help me. Comments for Eczema is driving me mad! Response to "Eczema is driving me mad!" Thank you for sharing about your eczema problems you are experiencing. The first step is to gain a greater knowledge in how to best remedy your skin condition with natural means. As you explore our website there is much to learn and understand. I feel that when people understand how the body responds to natural remedies they get excited about our products and this is the beginning of getting answers for them. You will be greatly amazed at how well and how quickly everything in our store positively affects the body in repairing and restoring the natual balance of the body! I used hydrocortisone on my 4 month old baby's eczema spots and now he has 2 white marks on his little belly. It is very clear because his skin is a little dark. What can I do/use to bring his natural color back to those 2 spots? I have the same problem my pediatrician prescribed hydrocotosone on my baby that's 10 months now for his eczema I had no clue it would do this to his skin and he has a bunch of lighter spots on his face. My son is mixed with black so they're very noticeable! The facial skin is much thinner than the rest of the body so you will want to use our FACE & NECK THERACREAM which is specially formulated for this more sensitive area, along with our FACE & BODY WASH. I had the same issue after I used Cortizone.10 on my daughter's face( the right corner of her mouth). I thought the white spot would go away. But it has been there for a year. I was wondering if I could use the same products you recommended above, or if you have another recommendation? Unfortunately, your situation is so common where doctors freely prescribe various strengths of hydrocortisone and parents realize (after using it on their child) that it leaves the skin discolored! First, I'm sure you have stopped using the hydrocortisone cream as not only can usage produce the side effect of discoloration or hypo-pigmentation which is a type of damage to the skin layers, but steroid creams produce other harmful side effects such as thinning of the skin, easy bruising, permanent dilation of certain blood vessels, burn marks on skin, liver and kidney damage and a weakened immune system. Please do not despair, however, as the body has a great inner propensity to repair given the proper health building ingredients. Restoration of both hypo and hyper pigmentation of the skin takes patience and consistency. Here is what I recommend to help bring your son's skin layers back into a healthy function and balance. First, bath him with our FACE & BODY WASH which provides a gentle but thorough cleansing but does not strip the skin of it's natural PH. It will begin the repair process deep down that his skin needs. Next, gently apply a light coat of our MY DAUGHTER'S HAND & BODY THERACREAM. This rich cream penetrates all 7 layers of skin to restore balance from the bottom up to the very skin surface. The natural ingredients will steadily restore the normal function of the skin. Both of these products are formulated with skin nurturing ingredients that replenish natural moisture levels in the skin. Just as the body responds to healthy, natural foods, the skin will also respond to health building, natural ingredients. We have a 2 month old daughter and she has developed a rash on her face and neck that started in her 5th week. When she is active the rashes are more prominent and she starts itching it. We have visited doctors and one doctor told us it was cradle cap and another said it could be baby acne and might be early stages of eczema as well. Now her rash started spreading to her shoulders and chest as well. Today one doctor advised us to apply hydrocortisone and while looking up about the hydrocostisone I came across your website and read the reviews. Please do tell me which products I should use for this rash. Unfortunately the determination of symptoms by the medical profession can vary from doctor to doctor leaving the patient or in this case, the parent in total confusion. Many moms and dads have decided against using hydrocortisone on their children because of the potential harsh side effects that can occur. These side effects can include: thinning and discoloration of the skin, easy bruising, permanent dilation of certain blood vessels, burn marks on skin, itchiness, perioral dermatitis, and a weakened immune system. Not only this, but steroid use almost always produces a "rebound effect" of the very symptoms you are trying to get rid of! I would highly recommend first cleansing with our gentle yet thorough All Over Face & Body Wash. This can be used on the entire body. Then follow with an application of our Face & Neck TheraCream on the facial and neck areas and My Daughter's Hand & Body TheraCream on her shoulders and chest twice daily. Please keep me posted on your daughter's progress Vikey. My 5 month old son has eczema on his face and body. Our General Practitioner prescribed Elidel for his face. What do you think of it and is it safe to use? Comments for Is Elidel Safe? Response To: Is Elidel Safe? Wow....I am really shocked that your General Practitioner would prescribe Elidel cream for your 5 month old son! Elidel is a cream containing pimecrolimus, an immunosuppressant. It works by decreasing the body's immune system to help slow down the growth of atopic dermatitis (eczema) on the skin. Elidel is used to treat severe atopic dermatitis when other medications have not worked well. It is highly recommended by the medical profession to NOT use Elidel on a child 2 years of age or younger. Ongoing studies are showing that this drug can cause cancer...enough said! You should also know that steroid and hydrocortisone creams all produce potential side effects and health hazards. Some of these side effects include: thinning and discoloration of the skin, easy bruising, permanent dilation of certain blood vessels, burn marks on skin, liver and kidney damage and a weakened immune system. I will tell you what I highly recommend for your baby to relieve and repair his eczema condition. Please feel free to contact me with any other questions you may have Vanessa and let me know how your little boy is progressing. My Son's Eczema Was So Bad! You have no idea how bad my son's eczema was! It has been an ongoing problem in just this one spot behind his right knee since he was about two months old. Steroids would make it go away quickly, but it would always return just as quickly as soon as I stopped using the steroids. I ordered your My Daughter's Hand & Body TheraCream and I kept using it several times a day (basically at most diaper changes but at least before and after bed) and it is so much better and, more importantly, I have peace of mind knowing I'm not allowing potentially harmful steroids to be absorbed through his delicate young skin. Thank you!! My 11 month son has a yeast infection, and I have tried several things but nothing has worked, and it just seems to be spreading even more. I have gave him warm baths with apple cider vinegar, putting the Nystatin cream, and hydrocortisone. I have an appointment with his pediatrician on Monday, but I would like to know what can I use in the meantime. Is there anything over the counter you would recommend? I would really appreciate your help, we have been dealing with this for over 4 weeks. Please know that any steroid or drug can be very harmful to the body and laden with side effects especially in one so very young as your son. These side effects include: thinning of the skin, easy bruising, permanent dilation of certain blood vessels, burn marks on skin, liver and kidney damage and a weakened immune system. My strong recommendations include the following: For bathing I recommend our FACE & BODY MOISTURIZING WASH which is a specially formulated mild cleanser that contains only herbal ingredients that are organically grown and hypo-allergenic and safe enough for baby's skin. This will begin to add moisture to his skin and soothe the skin layers. After bathing, gently pat his skin with a soft towel. Then moisturize and protect with our HAND & BODY THERACREAM as this is extremely important for his treatment. This specially formulated cream will stop any itching while it is repairing and bring balance back to his skin - restoring the normal function of the skin as well as providing anti-bacterial and anti-fungal protection. Remember that the body truly responds to natural ingredients. You can also choose to add a little sterile water to this cream before applying it to your young son. You really will be amazed at how quickly these products work and the soothing effect it has immediately on the skin. Please let me know how your little boy is progressing Pat. I just found out that my daughter has a mild case of eczema and her doctor gave me hydrocortisone cream to put on it 2 to 3 times a day. He said that it was OK to put on her cheek on the little spot she had. So I did and within a few hours I noticed that where I had applied the cream it had lightened her face. I now feel really bad and am afraid that I ruined my daughters face up for life! Will the lightening of that spot go away or is there anything I can do to help her natural color come back to her face? Please know that the body has a great propensity to heal and given the right ingredients, I am confident the spot of eczema and discoloration will repair. Thankfully, you have discontinued the use of the steroid cream and further avoiding all of its risky side effects. For bathing I recommend our FACE & BODY MOISTURIZING WASH which is a specially formulated mild cleanser that contains only herbal ingredients that are organically grown and hypo-allergenic and safe enough for baby's skin. This will begin to add moisture to her skin and soothe the skin layers. After bathing, gently pat her skin with a soft towel. Then moisturize with our FACE & NECK THERACREAM as this is extremely important for her eczema treatment as well as the discoloration. This specially formulated cream will stop any itching while it is repairing and bring balance back to her cheeks - restoring the normal function of the skin as well as the skin tone. Remember that the body truly responds to natural ingredients. You can also choose to add a little sterile water to the face cream before applying it to your young daughter. You really will be amazed at how quickly these products work and the soothing effect it has immediately on the skin. Please let me know how your little girl is progressing Tawny. My 10 month old also has eczema on her tummy and face and the doctor prescribed steroid with epizone cream but its not helping! Unfortunately most steroid creams only mask eczema symptoms and many times these creams do not even work. Further, prescribed steroid creams, including those over the counter, many times cause harmful side effects. You mentioned Epizone Cream which contains both mineral oil and petroleum. These two ingredients have no nutritive value and the molecules are too large to pass through the pores of the skin so they just sit there blocking the natural process of the skin to retain or receive moisture. I would highly recommend first cleansing with our gentle Face & Body Wash followed by an application of our Face & Neck TheraCream on the facial area and our My Daughter's Hand & Body TheraCream for your daughter's tummy area. These products contain many health building ingredients that are soothing and highly moisturizing. My 5 month old daughter has eczema on her face and hands. I use hydrocortisone 1% for the last 2 months but she gets the rash back if I stop using it. I heard hydrocortisone makes the skin thinner so now I'm trying to avoid it but her skin is getting worse if i stop using it. Can you please tell me what to do? Avoiding the further use of hydrocortisone cream is very important as steroids produce harmful and devastating side effects especially in a child so young. These side effects can include: thinning of the skin, easy bruising, permanent dilation of certain blood vessels, burn marks on skin, liver and kidney damage and a weakened immune system. I will give you my recommendation to help your baby's condition. Next, rub in a small amount of our FACE & NECK THERACREAM which is specially formulated for the more delicate and thinner areas of the face and neck. At first, you can even add a bit of sterile water to her first few applications to thin the cream somewhat and gradually add less water until you are applying full strength. This cream is very soothing and has anti-bacterial and anti-inflammatory properties as it relieves itching and repairs the skin rather quickly. For her hands, moisturize with our HAND & BODY THERACREAM as this is extremely important for her eczema treatment. This specially formulated cream will stop any itching while it is repairing and bringing balance back to her skin - restoring the normal function of the skin instead of just placating the symptoms. Remember that the most effective, specially formulated products are plant based, have a very rich emollient level and are loaded with nutrients. Since our HAND & BODY THERACREAM is so very thick and rich, you can, again, choose to add a little sterile water to the cream before applying to your young daughter. You really will be amazed at how quickly these products work and the soothing effect it has immediately on the skin. Please feel free to contact me with any other questions you may have and let me know how your little girl is progressing Bharti. I have a son who has had on and off eczema since he was born. He is now 19 months and has had a big break out. I used to relate it to teething but I am now in the middle of doing a food test to see if he is allergic to dairy/wheat. My question is we have been using a cortisone cream (sparingly) and now he seems to have hypo-pigmentation. I am wondering if it will go away? We have spent a little time in the sun and he has a little tan so I thought it may be where the eczema and cream may have renewed itself. I completely understand how challenging this situation can be. It's wise of you to have your son tested for certain food allergies so as to eliminate those possibilities. You mentioned using cortisone cream sparingly for his eczema and as long as you continue to use it, it will produce unwanted side effects such as the hypo-pigmentation. You see, all forms of steroid creams produce potential side effects and health hazards. Some of these side effects include: thinning and discoloration of the skin, easy bruising, permanent dilation of certain blood vessels, burn marks on skin, liver and kidney damage and a weakened immune system. My strong recommendation is to not use these creams at all! To help your son's skin recover from eczema and the damage from steroid use you must use natural, healing products only. Given the proper tools, the body will respond to wholesome, health building ingredients. I strongly recommend the following: First use our FACE & BODY MOISTURIZING WASH which is a "non-soap" cleanser and provides a gentle but thorough cleansing but does not strip the skin of it's natural PH. It will begin the repair process deep down that your son's skin needs. Next for all over body use, apply our MY DAUGHTER'S HAND & BODY THERACREAM twice daily. These amazing creams have the capability to penetrate the 7 layers of skin and unpack damaged cells, relieve itching and supply moisture and nutrients to repair and rebuild healthy, balanced skin. Remember, the body responds to health building ingredients! Please keep me posted on your son's progress Taryn. As a new mom who has to deal with eczema on her child, I can certainly sympathize with you. The symptoms and endless scratching can wear on both baby and mom. We have parents around the globe who have found great relief for their children with our products. I would highly recommend first cleansing with our very gentle, FACE & BODY WASH followed by an application of our FACE & NECK THERACREAM for the facial area and MY DAUGHTER'S HAND & BODY THERACREAM on the body area. Regarding your question as to whether his milk formula could be causing his eczema, you would need the proper allergy testing to determine that. Please keep me posted on your baby's progress. What To Do For 6 Month Baby With Eczema? My baby, who's 6 month old, had eczema around the folds of her arms,legs, back of her ears and neck a week ago. I went to see the doctor and who prescribed a cortisone topical ointment. I wasn't ready to use the steroid ointment on my baby. So, I just used Aquaphor which she recommended to rub around the baby 3 to 4 times a day (though, I applied more than that). Now, rashes are all over her cheeks, under the chin, arms, legs, neck, half part of her back and tummy. Aquaphor seemed to have worked on the folds of her arms and legs, but all the rest became worse. I'm running out of ideas of what to use. Also, before I stuck on Aquaphor, I've used Vanicream but that didn't seem to help. Also, as per an online inquiry, I've read that it's better to wash baby only with plain water, but that seemed to have made baby so hot. So, I went back to using Aveeno Creamy Wash (I'm not sure if this is okay or not). She's been using it for quite a while before the flare up. Please advise. Thank you very much for your time. Comments for What To Do For 6 Month Baby With Eczema? Response To: What To Do For 6 Month Baby With Eczema? First let me say that I am proud of you for refusing to put such a harmful substance on your little baby as cortisone topical ointment. There are so many side effects from using this dangerous drug which include: thinning of the skin, discoloration, easy bruising, permanent dilation of certain blood vessels, burn marks on skin, liver and kidney damage and a weakened immune system. I highly praise you for seeking a natural alternative to help your daughter's eczema. This will make a huge difference in her recovery. You mentioned using products such as Vanicream, Aveeno and Aquaphor, however, these creams can actually increase the skin's dryness levels because they contain mineral oil or other petroleum based by products. These ingredients have NO usefulness to the skin nutritionally and in fact, the molecules are too large to even pass the pores of the skin so the cream just sits on top and literally suffocates these pores thereby causing further dryness and damage. Further, Vanicream contains BHT (butylated hydroxytoluene), which is a fat preserver found in petroleum products and worse, BHT may be carcinogenic. Please keep me posted on your baby girl's progress Len. My 6 Week Old Baby Boy Has A Horrible Rash. My 6 week old baby boy has a horrible rash on his face, neck, ears and chest. His pediatrician says it's eczema and to treat it with Eucerin cream, clean it with Aveeno cleansing therapy and follow up with Aveeno eczema skin cream. Well I did that for about three weeks. Nothing worked and his skin only got discoloration and worse!! I just received my package today from Aim 2 Health. The Face & Body Wash as well as the Face & Neck TheraCream and I'm so excited to see how this works!! I've taken my before shots and can't wait to see the results for the after shots. I'll keep u posted.. #fingerscrossed. My daughter has eczema on both ankles and wrists, then small patch on elbow...which products are recommended? For eczema on the areas you described I would recommend first cleansing with our gentle yet thorough Face & Body Wash followed by an application of our My Daughter's Hand & Body TheraCream twice daily. It is very important what wash is used as most cleansers are too alkaline. I have an 8 month old with eczema on her face and nape of neck. I have tried countless "miracle" creams with little to no success. My daughter recently had a horribile flare up that included areas that got hives. Not knowing what to do, I took her to a pediatric dermatologist. He of course, gave a prescription cortisone cream. Well, I put it on her a total of 3 times over 2 days, and her face feels smooth, but oh my word it is so RED RED RED, it looks burnt. I am horrified I put that poison on her and will not put it on again! So my question is: What specifically do you recommend? I am so disheartened by how much money I have spent on products with NO RESULTS. She is breastfed, and in her solid foods (which are all organic), she gets 1/2 tsp of Cod Liver Oil, and a 1/4 tsp of a infant Probiotic given to me by my Naturopath. I am desperate for help, any info would be greatly appreciated! First let me say that I am very glad that you have stopped using the cortisone cream on your daughter as you have found out it is more detrimental than helpful. The body will respond more readily with natural ingredients with long lasting results. The two products I would recommend for your daughter are: our FACE & BODY WASH which is a most gentle cleanser especially for such a young baby. In fact, we have had customers use this and our creams on their newborn babies with cradle cap, psoriasis and other skin conditions. Next, rub in a small amount of our FACE & NECK THERACREAM which is specially formulated for the more delicate and thinner areas of the face and neck. At first, you can even add a bit of sterile water to her first few applications to thin the cream somewhat and gradually add less water until you are applying full strength. This cream is very soothing and has anti-bacterial and anti-inflammatory properties as it relieves itching and repairs the skin rather quickly. Having had a number of KIOSKS, I and my staff would have the great pleasure of seeing moms and dads bring their children back to see us after only 3 to 5 days to show us how well their children's conditions were healing. Our products have a high success rate to which we are very thankful and proud of. I think all the other things you are doing for her diet are tremendous and I do encourage you to keep this up. If you have any other questions Tracey know that I am here for you! Grandson's Eczema Is Driving Grandma Crazy! I have a 2 year old grandson with eczema, really bad at times. He is going for allergy testing next month because of a severe allergic reaction to cashew. I need all the help and suggestions you can give us. He can't sleep most nights for itching, sometimes all over. Hands, ankles, toes, upper thighs and armpits are the worst. Scalp is really dry/flaky/itchy all due to cashew allergies, can we use tea tree oil?????? He sees a dermatolgist also and he is on a couple of new creams. He takes prednisone occasionally as well as benadryl every night and zyrtec every morning. HELP, IT'S DRIVING ME CRAZY. Comments for Grandson's Eczema Is Driving Grandma Crazy! Response To Grandson's Eczema Is Driving Grandma Crazy! It certainly does sound like your grandson is quite allergic to cashews and it is a very good idea to see what other things he might be allergic to so that these can be avoided. For our website viewers, let me clarify that Benadryl and Zyrtec are drugs that act as antihistamines to reduce the natural chemical histamine in the body while Prednisone is a synthetic corticosteroid drug that acts as an immunosuppressant, and affects virtually all of the immune system. These are very potent drugs that can cause harmful side effects. My first advice is to start on natural remedies immediately while weaning your grandson off of these drugs and steroid creams. First, bath him with our FACE & BODY MOISTURIZING WASH which is a specially formulated mild cleanser that contains only herbal ingredients that are organically grown and hypo-allergenic and safe enough for very young skin. This will begin to add moisture to his skin and soothe the skin layers. After bathing, gently pat his skin dry with a soft towel. Since our HAND & BODY THERACREAM is so very thick and rich, you can choose to add a little sterile water to the cream before applying. You really will be amazed at how quickly these products work and the soothing effect it has immediately on the skin. For his scalp, I have seen time and time again that using an effective shampoo is critically important. I recommend our HERBAL SHAMPOO TREATMENT which contains three highly effective ingredients: tea tree oil, shea butter and urea . These three ingredients provide a powerful formula to relieving dry scalp symptoms. Tea tree oil has a very helpful restorative effect on skin infections and scalp disorders of every kind, shea butter has a soothing, moisturizing and protecting effect and urea has superior anti-fungal and anti-microbial properties that helps promote fast healing of dry, cracked, itchy, flaky scalp as well as adding much needed moisture. Please feel free to contact me with any other questions you may have and let me know how your little grandson is progressing. I was hoping you could help, my son has hypo-pigmentation that the dermatologist said is post inflammatory due to eczema. I also have eczema so I'm pretty well versed on keeping him moisturized all the time (I used both Calendula ointment and Vaseline multiple times daily). I have used Hydrocortisone 1 or 2% ointment on him when it gets red and scaly but then I try to stop as soon as it starts to heal. Any recommendations? I am going to address several areas of concern here. I would be remiss if I didn't bring up the harmful side effects of using hydrocortisone creams. These side effects include: thinning and discoloration of the skin, easy bruising, permanent dilation of certain blood vessels, burn marks on skin, liver and kidney damage and a weakened immune system. Not only this, but steroid use almost always produces a "rebound effect" of the very symptoms you are trying to get rid of! I have many parents who report quite a bit of hypo-pigmentation problems on their children after using steroid cream. In some cases the hypo-pigmentation occurs is localized on the skin that has been treated and in other cases, the hypo-pigmentation spreads to other parts of the body. There are so many products on the market today such as Aveeno, Vaseline, Eucerin and Aquaphor, however, these creams can actually increase the skin's dryness levels because they contain mineral oil or other petroleum based by products. These ingredients have NO usefulness to the skin nutritionally and in fact, the molecules are too large to even pass the pores of the skin so the cream just sits on top and literally suffocates these pores thereby causing further dryness and damage. Here is what I recommend to help bring your son's skin layers back into a healthy function and balance. First, bath him with our FACE & BODY WASH which provides a gentle but thorough cleansing but does not strip the skin of it's natural PH. Next, gently apply a light coat of our MY DAUGHTER'S HAND & BODY THERACREAM. This rich cream penetrates all 7 layers of skin to restore balance from the bottom up to the very skin surface. The natural ingredients will steadily restore the normal function of the skin. Both of these products are formulated with skin nurturing ingredients that replenish natural moisture levels in the skin. We hear back so many times from happy moms and dads that their child's skin has resumed its normal tone while clearing up any eczema condition that may have existed. Please keep me posted on your son's progress Natalie. My doctor recently prescribed me cortisone cream for my 4 month old daughter's eczema on her cheek. He did not tell me of the negative side effects, all the pharmacist said was to only use it once a day until it goes away. All of my friends and family have warned me about the cream, so I am hoping you will be able to tell me of some herbal cream or something else I can do to prevent it. I have some special 'soap' with pumpkin in it and some 'body butter' for eczema (non scented) from Rocky Mountain Soaps Company. I have been using it, and the eczema still comes back on her cheek, just in one spot, but it gets bad, very red, bumpy, then pusses, and sometimes bleeds of she scratches it. Please enlighten me on something better I can use! First, your family and friends gave you great advice about not using the steroid cream and I highly praise you for seeking a natural alternative to help your daughter's eczema. Then moisturize with our FACE & NECK THERACREAM as this is extremely important for her eczema treatment. This specially formulated cream will stop any itching while it is repairing and bringing balance back to her cheeks - restoring the normal function of the skin. Remember that the body truly responds to natural ingredients. Please let me know how your little girl is progressing. Toddler Lost Pigment In Her Skin. PLEASE HELP!! My 1 year old has eczema and her dermatologist prescribed hydrocortisone cream 2%. I had no idea of the side effect of her losing pigment in her skin. She now has two tones of color on her knees, legs and elbows. This is horrible and will cause major problems for her when she gets older with her self-confidence. Please help! Can you recommend anything that will bring the pigment back?? Comments for Toddler Lost Pigment In Her Skin. PLEASE HELP!! Response To Toddler Lost Pigment In Her Skin. PLEASE HELP!! I'm sure you have stopped using this 2% hydrocortisone cream seeing the type of side effect it is capable of producing. You should also be aware that other side effects include: thinning of the skin, easy bruising, permanent dilation of certain blood vessels, burn marks on skin, liver and kidney damage and a weakened immune system. Please do not despair, however, as the body has a great inner propensity to repair given the proper health building ingredients. Restoration of both hypo and hyper pigmentation of the skin takes patience and consistency. Here is what I recommend to help bring your daughter's skin layers back into a healthy function and balance. First, bath her with our FACE & BODY MOISTURIZING WASH which provides a gentle but thorough cleansing but does not strip the skin of it's natural PH. It will begin the repair process deep down that her skin needs. Next, gently apply a light coat of our MY DAUGHTER'S HAND & BODY THERACREAM. This rich cream penetrates all 7 layers of skin to restore balance from the bottom up to the very skin surface. The natural ingredients will steadily restore the normal function of the skin. Both of these products are formulated with skin nurturing ingredients that replenish natural moisture levels in the skin. Just as the body responds to healthy, natural foods, the skin will also respond to health building, natural ingredients. Please keep me posted on your daughter's progress Mrs. DeBerry. I used Hydrocotisone on my baby since she was 2 months old, and now she is 6 months old. I need to use it every other day to reduce the redness and bumps on her face, legs and arms. I honestly don't want to use chemicals on my baby but if I stop using hydrocotizone 1% in between she scratches a lot. Last time I tried to use an oil called Ecza salve from an organic store and my baby got a terrible allergy from it. I also tried coconut oil on her before and it just did not work. Her face turned all red and stretchy. She is taking Enfamil as main formula now. I have a problem with my son as he has eczema and he is only 4 months old. I have tried all the medicines that the doctors prescribed but they DO NOT work at all and his face is starting to get swollen and really going from bad to worse!! I searched the internet and accidentally bumped into your site and see all the products and comments of your old customers..... I quickly ordered all the products now just to try it, and I am very hopeful they will really help my baby`s eczema!! Thank you! I certainly understand your frustration! I tell parents that if you suspect that your child might have a certain allergy to keep a journal to record the response the eczema may have as you determine what may be triggering the condition. It truly is sad that too many doctors do not reveal the scope of dangerous side effects from using hydrocortisone cream! I am appalled at the number of doctors who continuously prescribe steroid creams and neglect to tell patients that there are proven, dangerous side effects! Not only this, but hydrocortisone and other potent steroid creams should only be used for SHORT TERM usage. All forms of steroid creams produce potential side effects and health hazards. Some of these side effects include: thinning and discoloration of the skin, easy bruising, permanent dilation of certain blood vessels, burn marks on skin, liver and kidney damage and a weakened immune system. The body will respond more readily with natural ingredients with long lasting results. Here is what I strongly recommend for your baby's condition: For bathing I recommend our FACE & BODY MOISTURIZING WASH which is a specially formulated mild cleanser that contains only herbal ingredients that are hypo-allergenic and safe enough for baby's skin. This will begin to add moisture to her skin and soothe inflammation in the skin layers. After bathing, gently pat her skin with a soft towel. Then moisturize with our HAND & BODY THERACREAM for the body and our FACE & NECK THERACREAM for the face as this is extremely important for her rash condition. These specially formulated creams will stop any itching while it is repairing and bringing balance back to her skin - restoring the normal function of the skin. Apply as needed. Remember that the body truly responds to natural ingredients. I have a 5 month old who is suffering from Eczema since she was 2 months. My doctor recommended Flutivate, cortisone ointment that worked in clearing up the eczema but now her skin has lightened in those areas and left oval white patches all over her body. What should we do to treat this condition? I am very worried about my daughter growing up with these marks on her body! Thanks in advance for your help. You certainly can use the HAND & BODY THERACREAM on her scalp as well. However, when using the cream on her face, you will want to add some sterile water to it to thin it out as it is very rich and thick. The skin on the face is much thinner than the rest of the body which is why we formulated our FACE & NECK THERACREAM, so if you do use the HAND & BODY THERACREAM on her delicate facial skin, please thin it out and apply gently. Thanks a lot for your response! Can I use the hand and body cream on her face and head as well? She has bad rashes on her face and scalp as well. Her scalp is very dry and flaky too and she wants to keep scratching it all the time. I'm sure you have stopped using this Flutivate cortisone cream as this type of steroid cream, in particular, often produces this type of side effect called hypo pigmentation which is a type of damage to the skin layers. Cortisone creams also produce other harmful side effects such as thinning of the skin, easy bruising, permanent dilation of certain blood vessels, burn marks on skin, liver and kidney damage and a weakened immune system. Please do not despair, however, as the body has a great inner propensity to repair given the proper health building ingredients. Restoration of both hypo and hyper pigmentation of the skin takes patience and consistency. Here is what I recommend to help bring your daughter's skin layers back into a healthy function and balance. First, bath her with our FACE & BODY WASH which provides a gentle but thorough cleansing but does not strip the skin of it's natural PH. It will begin the repair process deep down that her skin needs. Next, gently apply a light coat of our MY DAUGHTER'S HAND & BODY THERACREAM. This rich cream penetrates all 7 layers of skin to restore balance from the bottom up to the very skin surface. The natural ingredients will steadily restore the normal function of the skin. Both of these products are formulated with skin nurturing ingredients that replenish natural moisture levels in the skin. Just as the body responds to healthy, natural foods, the skin will also respond to health building, natural ingredients. Please keep me posted on your daughter's progress Dainty. Her whole body is dry, but especially her tummy and her face and ears. My doctor recommended almond and coconut oil today so I will try that. I used a little hydrocortisone cream on her on a few areas and it only seemed to make her skin bright red and thin looking. It is truly sad that many doctors are NOT informing concerned moms and dads of the dangers of using steroid creams on their children, especially one as young as yours. What I would highly recommend is first cleansing with our All Over Face & Body Wash followed by an application of our Face & Neck TheraCream twice a day (morning and evening) to soothe and help the skin to recover. Please keep me posted on your newborn son. My 1 month old son is red and discoloration from using hydrocortisone cream on his face. The doctor had told me to use this on his face and I had used it only for 3 days. I had stop using the medicine on his face and his face is still bad. When I first ordered these lotions for my daughter I was a bit skeptical. I wished they would work, but deep down I thought they would not. So I was completely amazed when just after two days of using the Hand & Body Theracream I saw amazing changes in my daughters skin! I have tried so many things and this was the first thing that really worked!! I would recommend these products to anyone and I will continue to use them on my daughter even though the eczema is gone. First, let me say that using hydrocortisone cream, especially on a young baby, can have short and long term adverse effects. These side effects can include: thinning of the skin, easy bruising, permanent dilation of certain blood vessels, burn marks on skin, liver and kidney damage and a weakened immune system. I only recommend using natural products to help your daughter's eczema. This will make a huge difference in her recovery. Further, using almond and coconut oil at this point is not what will help her skin as eczema conditions require products that can add moisture, not oil, to the skin layers in order to repair the skin. Since our HAND & BODY THERACREAM is so very thick and rich, you can choose to add a little sterile water to the cream before applying to your young daughter. You really will be amazed at how quickly these products work and the soothing effect it has immediately on the skin. For her facial area, I would recommend our specially formulated FACE & NECK THERACREAM which is made for the thinner and more delicate skin on the face. My son has eczema on his face (cheeks, chin, behind ears), elbows, behind his knees, spots of it on his back and on his neck. I have been using cotisone but after reading this I'm stopping completely! I have been using it since he was three months old and I just want your suggestions on what I should be putting on it. Hi , My name is Zoe, I have a one and a half year old and she's had eczema since she was born but never was bad as it is now. It started getting worse wen she turned 1. We've used 4 different steriod creams on her and every time we used it, yes it cleared her skin but then came back on us 5 times worse!! So back to the doctors we'd go and they would throw us even stronger steriod cream!! Eight months on and we're still at our wits end. My doctors in my practice don't seem to care that this is ruining our daughter. I've recently been seeing a new doctor and thought she was a ray of light but after giving us MORE hydrocortisone cream and it's making my daughters condition 10 times worse and she keeps convincing me that steriods cream can be used as long as you want and she's telling us to apply a generous amount! Now she's told us to start using the steriod cream again as we had stopped using it,for fear that it's not doing our daughter any good. She's told us to use the steriod cream for a good 3-6 weeks and always apply generously. We don't think this is right, but these are supposed to be doctors,they are supposed to know how to help your child if they are ill or sick! I think that my doctor is wrong because my daughter has red, inflamed, itchy, puss oozing out of her skin and she pretty much has it everywhere, now on her genital area too which has never happened. Her face and scalp is worse and those are the parts that puss and itch her. We put on tights to stop her from scratching her legs and a baby vest to stop her from scratching her stomach and back but because there's nothing we can do about her face and scalp it's the worst at night. She's tired from waking up most nights all night from constant itching and we have to change her pj's at night sometimes because of all the puss sticking to her clothes. Her skin is infected and has been given antibiotics for it but it will just get infected again if I keep using these dangerous creams. I know they're not good for our daughter and I can't bare seeing her in pain or irritation 24/7..It's heartbreaking and I'm tired of being lied to by doctors over and over again. I'm very glad that you have come across this very important information and are discontinuing the usage of the cortisone cream you have been using on your son. I am appalled at the number of doctors who continuously prescribe steroid creams and neglect to tell patients that there are proven, dangerous side effects! Not only this, but hydrocortisone and other potent steroid creams should only be used for SHORT TERM usage such as in days or a week or two. All forms of steroid creams produce potential side effects and health hazards. Some of these side effects include: thinning and discoloration of the skin, easy bruising, permanent dilation of certain blood vessels, burn marks on skin, liver and kidney damage and a weakened immune system. The body will respond more readily with natural ingredients with long lasting results. The products I would recommend for your son are: our FACE & BODY WASH which is a most gentle cleanser especially for such a young baby. In fact, we have had customers use this and our creams on their newborn babies with eczema psoriasis and other skin conditions. Next, rub in a small amount of our FACE & NECK THERACREAM which is specially formulated for the more delicate and thinner areas of the face and neck. For his elbows, behind his knees and back, I recommend using our MY DAUGHTER'S HAND & BODY THERACREAM. At first, you can even add a bit of sterile water to his first few applications to thin the cream somewhat and gradually add less water until you are applying full strength. This cream is very soothing and has anti-bacterial and anti-inflammatory properties as it relieves itching and repairs the skin rather quickly. Please keep me posted on your son's progress Zoraida. I have a 6 month old baby girl with eczema on her cheeks and her arms and it's causing myself and my partner a lot of stress as well as my little girl. I have been to the General Practitioner three times this month and they gave me steroid creams which work great for one week - although when we stop using the creams the rash comes back even worse. I am living in Ireland and want to know how do I purchase your product. First, let me say that I am proud that you have decided to stop using steroid creams. These produce serious side effects and not only this, but steroid use almost always produces a "rebound effect" of the very symptoms you are trying to get rid of! This is what you have been seeing happening to your little girl and her condition. You asked how you can purchase our products and I see that you live in Dublin. For our International customers outside the USA you can go to our sister website at: www.aim2health.com. There you will be able to purchase all of the same products found here on this website and shipment is sent out within 24 business hours. Please keep me posted on your little girl's progress Danielle. I have a 5 months old son and he has eczema all over the body and seborrheic dermatitis on his head which weeps sometimes and leaves a sticky liquid on his head. He is very distressed about that and can't sleep at nights. With the eczema I am not that worried but I used hydrocortisone cream as well but now I don't use it because of all the stories behind hydrocortisone. My main concern is the head where it has seborrheic dermatitis and the worst areas are the back of the neck where the hair finishes and skin starts. If I take him to the doctor the doctor will prescribe hydrocortisone which I don't want to use. First, discontinuing using the hydrocortisone cream on your son is paramount. I am very glad that you are not using this harmful substance any more. 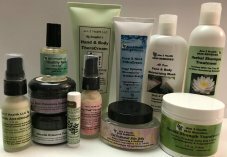 The products I am going to recommend to you for your son can be used for his seborrheic dermatitis as well as his eczema. For his treatment, apply a small amount of our MY DAUGHTER'S HAND & BODY THERACREAM directly onto his scalp, (I am not recommending our DOUBLE STRENGTH THERACREAM as this might be too strong for him). It is best to apply the cream onto the problem scalp areas and leave it on for at least two hours but preferably overnight. Be sure to include the back of his neck where the hair finishes and skin starts. This cream will quickly penetrate the 7 layers of scalp tissue and begin to unpack the dry, damaged cells that have accumulated and help heal up the seeping areas. As a side note, you may first want to add a small amount of water to the cream you are about to apply to dilute it for the first couple of applications since he is 5 months old. As his scalp skin becomes healthier you can then apply the cream full strength in small amounts. Next, in the morning or whenever bath time is, wash his scalp/hair with our HERBAL SHAMPOO TREATMENT which is hypo-allergenic and filled with nutrients and will further unpack dry damaged cells to the deepest part of the scalp and restore much needed moisture and assist his scalp in regaining a healthy balance once again as well as restore its proper PH. Once his scalp condition is repaired you need only use the HERBAL SHAMPOO TREATMENT to keep his scalp healthy and problem free. For his eczema, simply use the MY DAUGHTER'S HAND & BODY THERACREAM wherever it is needed, (remembering to dilute the first applications). Please keep me posted as to your son's results Sunny. Can you please possibly recommend a treatment? I have tried cortisone dream but to no avail. First I want to praise you for seeking natural remedies for your son's dry skin problem. While hydrocortisone creams are typically prescribed by dermatologists and others in the medical field, you should know that they are harsh and can produce dangerous side effects which include: thinning of the skin, easy bruising, permanent dilation of certain blood vessels, burn marks on skin, liver and kidney damage and a weakened immune system. Not only this, but once these steroid creams are no longer used, the skin problem comes back many times worse than before. I will give you my recommendations for your son to repair his the dry skin around his forehead. For bathing I recommend our FACE & BODY MOISTURIZING WASH which is a specially formulated mild cleanser that contains only herbal ingredients that are organically grown and hypo-allergenic and safe enough for baby's skin. I would suggest using this as his shampoo as well as any number of chemical filled, commercial shampoos sold on the market can be at the root of this problem. Our FACE & BODY WASH will begin to add moisture to his skin and soothe the skin layers. After bathing, gently pat his skin with a soft towel. Then moisturize with our FACE & NECK THERACREAM as this is extremely important for his treatment. This specially formulated cream will stop inflammation as well as any itching while it is repairing and bringing balance back to his skin - restoring the normal function of the skin. Apply carefully around the forehead, avoiding the eyes. Remember that the body truly responds to natural ingredients. You can also choose to add a little sterile water to the face cream before applying it to your young son. You really will be amazed at how quickly these products work and the soothing effect it has immediately on the skin. We have moms and dads across the globe using these 2 products with tremendous success! Please let me know how your little son is progressing. My daughter started getting really bad eczema from the last 4 years and now she's got asthma as well. I am really worried about her health as she is 8 years old but she looks like she's 5 years old. Please help me as I am using so many steroid creams from the doctor but her eczema and asthma are getting worse. It is certainly very challenging when our children suffer from ailments. I will cover several points here. First, eczema does not cause asthma or other allergic diseases. Childhood eczema is oftentimes associated with eczema and approximately half of children with asthma also have eczema. Further, the use of steroid cream carries with it possible risk of side effects. These side effects include: thinning and discoloration of the skin, easy bruising, permanent dilation of certain blood vessels, burn marks on skin, itchiness, perioral dermatitis, liver and kidney damage and a weakened immune system. Not only this, but steroid use almost always produces a "rebound effect" of the very symptoms you are trying to get rid of! First I would recommend cleansing with our All Over Face & Body Wash followed by an application of our My Daughter's Hand & Body TheraCream twice daily. And if she has eczema on her face I would recommend our Face & Neck TheraCream. Remember that the body truly responds to health building ingredients and consistency and patience yield very good results. Please keep me posted on your daughter's progress Neelam. Hi, I can understand what your daughter must be going thru. My dermatologist had prescribed a purple liquid and a steroid cream, it helped initially, but then it caused the skin to turn green, purple and brown. It scared me. So I stopped. My daughter has been suffering with redness in her neck creases, armpits and groin area on and off for many months now. She also has dry skin over a lot of her body. The doctor has given various anti fungal and hydrocortisone creams. These work but as soon as I stop applying them the redness is back. My daughter is itching so it's obviously uncomfortable for her. It's red raw and looks very sore. I live in the UK and I notice the advised products are in dollars. Would you be able to recommend to me what type of creams to use so I can see if I can find them in the UK? She is 11 months old. Thank you. The products I would recommend are the following: first cleanse with our gentle and pure All Over Face & Body Wash which will begin soothing her skin. Follow this with an application of our My Daughter's Hand & Body TheraCream as needed. You can also use the wash for her scalp area. If she has any areas on her face that are affected I would also recommend our Face & Neck TheraCream as this is formulated for the very thin and sensitive skin on the face. 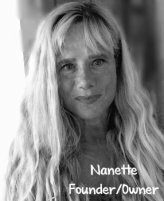 Thank you for the reply Nanette. Can you tell me which creams i should be using on her by what i have described? Thank you. Unfortunately, most doctors do not clearly spell out the awful side effects that can occur with steroid and hydrocortisone use. These side effects include: thinning and discoloration of the skin, easy bruising, permanent dilation of certain blood vessels, burn marks on skin, itchiness, perioral dermatitis, liver and kidney damage and a weakened immune system. Not only this, but steroid use almost always produces a "rebound effect" of the very symptoms you are trying to get rid of! I do not know of any sources in the UK that could provide you with the high quality creams and washes that we sell. You see, most companies freely load their products with cheap fillers which includes the well known mineral oil and petroleum, both of which will clog pores and dry skin out. It is very important that products contain more than just a few "good" ingredients but that they contain a wide variety of health building ingredients that work synergistically together as our products do. We do ship around the globe and you mentioned USD prices on our site but I believe that each credit card company converts this to each person's country when cycling your account and this can be checked with your particular company. I hope this helps and please keep me posted on your baby girl.